We had all of the Teenage Mutant Ninja Turtle action figures, cartoons, movies and more in our house. My younger brother was a huge fan of the larger-than-life turtles who saved the world from the evil Shredder and had an obsession with pizza. We’d spend afternoons deciding who would play which turtle and then reenact scenes from the cartoon series. Fast forward a few (I like to think it’s a few so don’t correct me!) 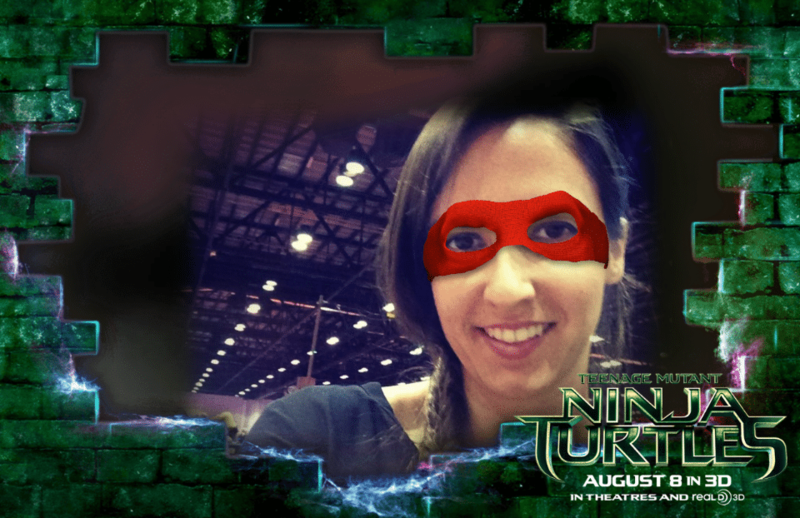 years and the Teenage Mutant Ninja Turtles are back in an all new full-length film. I love it when I get to introduce my children to the characters I grew up with. 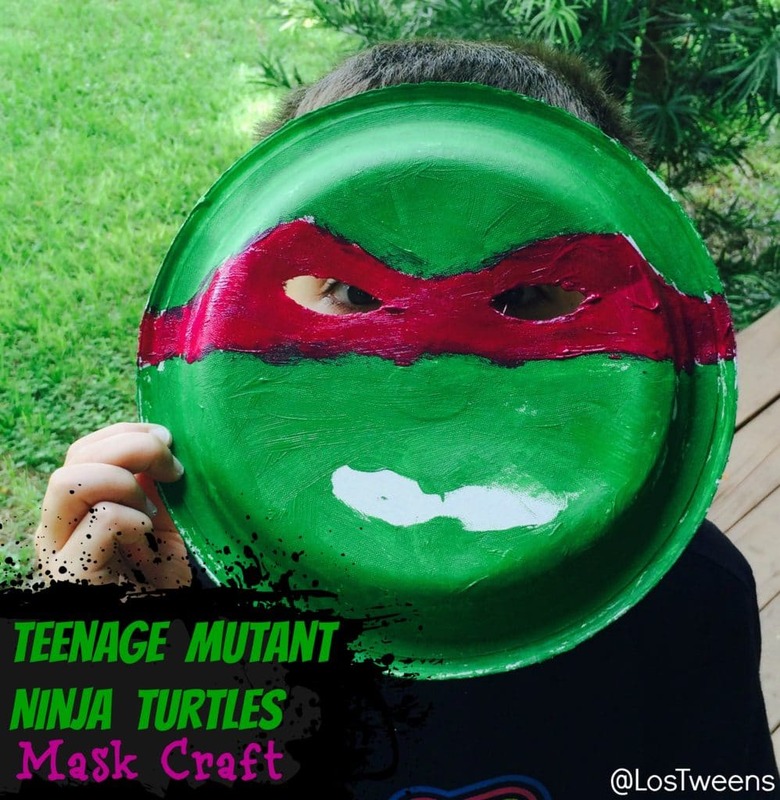 In honor of the new movie and to encourage creativity in my tween son, I came up with the Teenage Mutant Ninja Turtle Mask Craft. 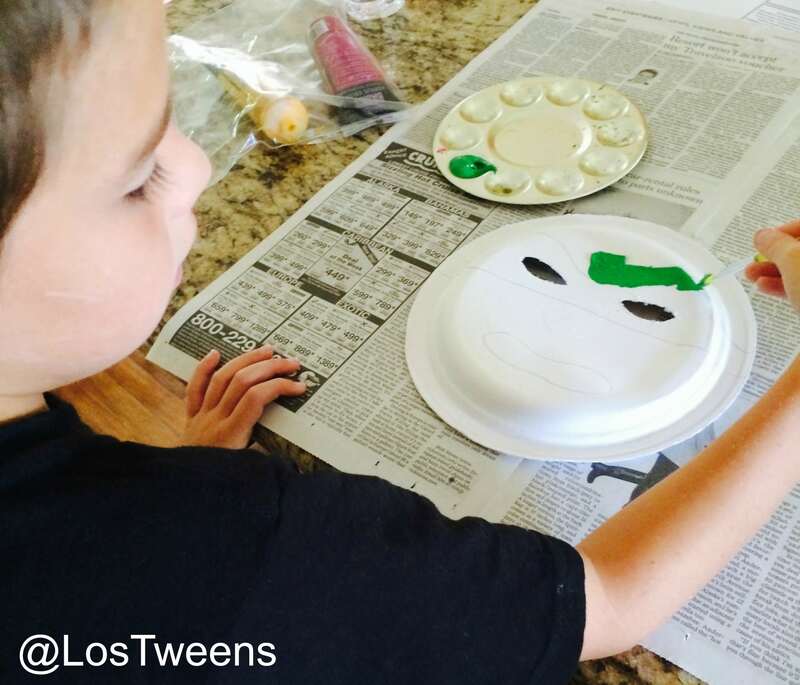 It was a fun and easy craft for us to do together and got him interested in the turtles and their back-story. With the plate facing up, outline two eye slits. Carefully cut out the eye slits with an x acto knife or use a pair of scissors. 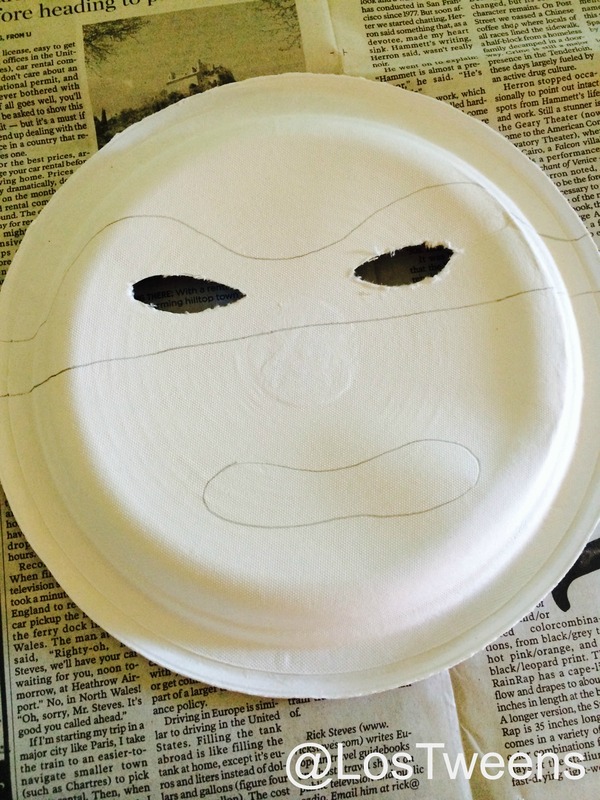 Outline a mask around the eyes and a mouth using a pencil. *Be careful with the children around to put away any sharp objects before allowing them to help you with the next steps. 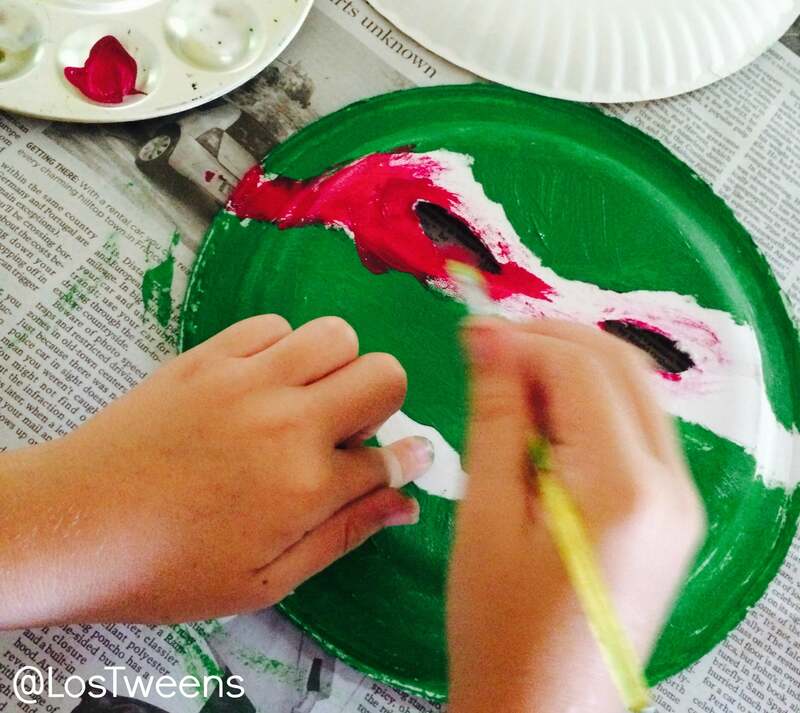 Use green paint to fill in the area above the mask and below it. Make sure to leave the mask and the mouth parts un-painted. You’ll be filling those in later. 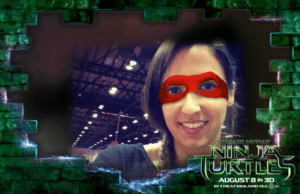 This entry was posted in Entertainment, Ideas, Movies and tagged craft, Movie, movie review, Parenting, Parenting Tips, summer, Teenage Mutant Ninja Turtles, Tweens. Bookmark the permalink. Join Us for the Walk-N-Roll Twitter Party for Spina Bifida!